Boxing, or the use of punches, is a crucial part of the feared and respected Art of Eight Limbs. Throughout history, fighters who have shown to have an exceptional boxing ability in the Muay Thai ring have also come to be recognized as some of the greatest and most versatile fighters in the world. In some cases, some of these fighters even transitioned completely to the sport of boxing and managed to achieve unbelievable success in that arena as well. Technical boxers like the legendary Samart Payakaroon and Somluck Khamsing, or even tremendous power punchers like Khaosai Galaxy and Veeraphol Sahaprom, are some of the more popular examples of Muay Thai fighters who have incorporated the sweet science of boxing perfectly into their own art during their successful careers in Muay Thai. These fighters have proven without a shadow of a doubt that a good knowledge of boxing in Muay Thai can be what separates a good Muay Thai fighter from a great Muay Thai fighter. Having a good understanding of the range your punches operate in is crucial to how you use boxing in Muay Thai altogether. Muay Thai is known worldwide as the Art of Eight Limbs; a complete blend of the elbows, fists, knees, and shins in a fight. And all of these eight limbs are used in a variety of ways and more importantly, in different ranges. The elbows are weapons used in close range and in the clinch. The knees are mid to close-range weapons that can be used heavily in the clinch as well. The shins are generally mid to long-range weapons. The fists are used in close to mid-range, depending on how you are moving against your opponent in the ring. It is important to have a good understanding of the different limbs and weapons available for you to use at different ranges throughout the fight. At the most basic level, having this understanding will help you know when to use your punches and when not to – which will enable you to fight smarter and more efficiently. At a more intermediate level, it will also help you to blend and time your punches better with the other weapons that are at your disposal. This is no doubt key to helping you apply many of the other points listed below as well. 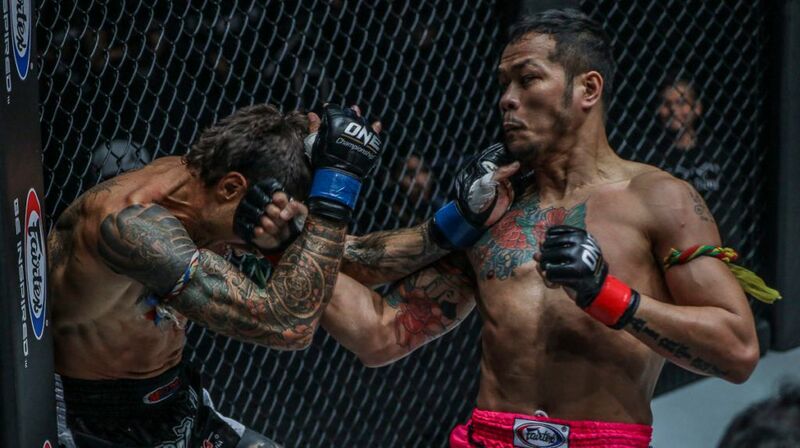 In Muay Thai, effective technical execution is without question the single most important aspect in scoring a fight – as it is in most other combat sports. 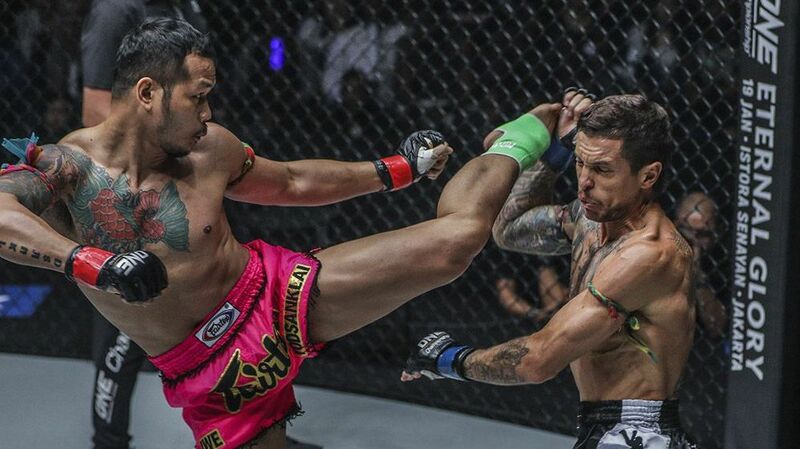 The fighter who lands the more significant, accurate and effective strikes that showcases and demonstrates proper Muay Thai technique and style will score more and very likely win the fight altogether. This category in Muay Thai scoring holds the highest level of importance to a judge in any Muay Thai fight. For punches, what this basically means is that the timing and precision in the execution and landing of your boxing techniques matter much more than the volume of punches you are able to churn out. In addition to that, focusing on the timing and precision of your punches will allow you to be more efficient with the amount of energy you are using in a fight. So it is important to note that while a lengthy series or barrage of punches might look good offensively, and even help you score well under the category of determined aggression, it will ultimately not amount to anything if your opponent is scoring with more precise and well-timed individual shots. If you are a Muay Mat stylist or Dutch-style combination fighter, it is important to note that at times, these type of styles might cause fighters to emphasize too much on churning out a large volume of punches while pressuring forward. These will cause them to lose out greatly when they take on fighters who score with more significant shots from the outside. So be sure to always prioritize and work on the timing and precision of your boxing techniques over the amount the punches you can dish out in every attack or exchange. Instead of just using punches as a means to score points offensively, it is also important to view them as tools which you can use to set up attacks from your other limbs. With a good understanding of the range your punches are executed from (see point The Range Boxing Operates In), you can use your punches to position your opponent for or divert their focus away from the next technique that you are going to execute. 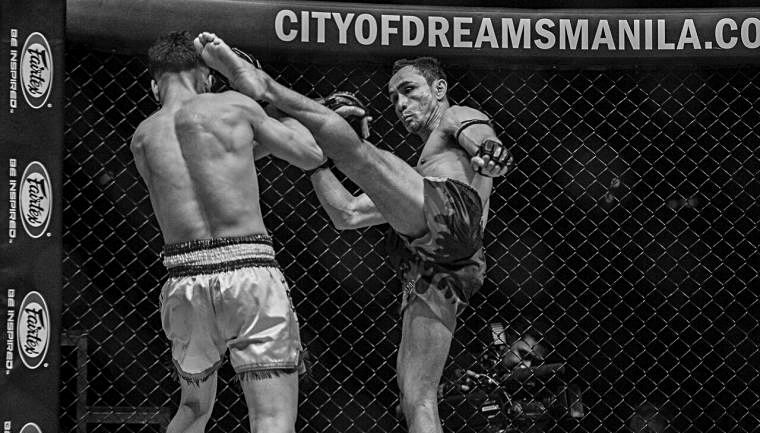 For example, one of the most basic and effective combinations in Muay Thai is the lead hook to a rear leg kick. The priority of the lead hook is not to land but to move the opponent in the direction of the hook (being moved left from a left hook or moving right from a right hook), in order to place him/her in a perfect position to land a rear leg roundhouse or low kick with greater ease and effect. Using punches as follow-ups is also another good way to combine your punches with attacks or even feints from the other limbs. One of the most common follow-up techniques is the rear roundhouse kick to a cross. The rear roundhouse kick is thrown at the guard and arms of the opponent to bring his/her arms down in order to block the incoming kick. This lowers the opponent’s guard for a brief moment for a follow-up cross to land flush. This same concept can be applied to feints as well. Using feints to cause a reaction from the opponent that opens up a certain area in the body or head to land a punch will enable you to cause a significant amount of damage and score well. It can also be used to keep your opponent guessing and hesitant with his/her offense throughout the fight. The lead leg teep feint to a jab is a good example of a follow-up technique used to disrupt the rhythm and forward movement of an opponent. While precise and well-timed punches hold much more significance in a fight than sheer volume of punches (see point Timing & Precision of Punches > Volume of Punches), a good series of punches linked well with other strikes in a good combination can be incredibly beneficial to your entire Muay Thai game. Exceptional Muay Mat stylists and Dutch-style fighters are experts at blending their punches perfectly into their combinations. Fighters like Coban Lookchaomaesaitong, Tongchai Tor Silachai, Ramon Dekkers, Anuwat Kaewsamrit, and Rob Kaman are legends known for combination fighting. Their combinations are fast, sharp, and precise – always mixing good boxing techniques to the head and body with their kicks, knees, and elbows. These fighters’ methods should be studied if you’re looking to learn how to blend your punches into your offensive combinations effectively. However, it is important to note that developing a good understanding and application of combination fighting will take a lot of time and practice on the pads, heavy bags, and most of all, in sparring. Also, the process can also be incredibly frustrating in the beginning as it requires a good understanding of range, footwork, body movement, and technique in order to be executed well. So be ready for the hard work and frustration and in time you will be able to execute good combinations naturally. In boxing, good boxers spend large amounts of time learning to counter all the different punches that can be thrown by the opponent. 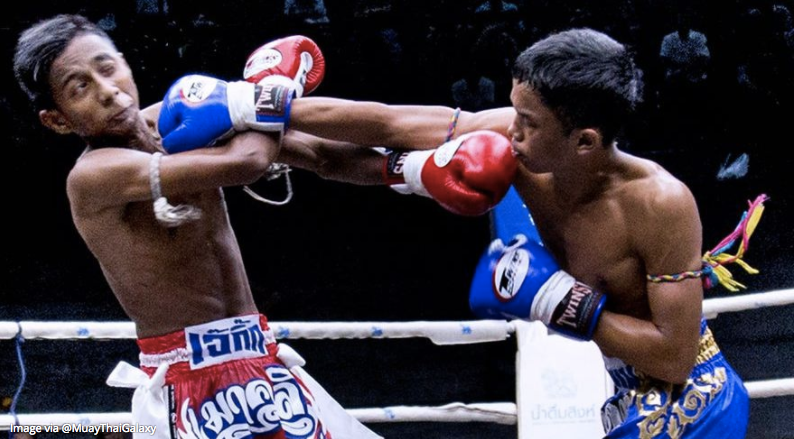 Muay Thai fighters should do the same and more – learning how punches can be used as counterattacks and follow-ups to not just punches executed by opponents, but elbows, knees, and kicks as well. And as it is in boxing as well, counterpunching is without question the most powerful way punches can be used in a fight. In Muay Thai, some common examples include throwing a cross after a well-caught kick, throwing a hook as the opponent is throwing a roundhouse kick, or throwing an uppercut after a missed elbow strike from the opponent. Being able to counter any and every strike with punches requires good reaction time and an ability to read your opponent well – both of which, can only be honed from hours of practice, drilling, and experience from applying them in sparring or in an actual fight.